As soon as I opened this, it smelt like my bentonite clay mask which is the third listed ingredient and it's the smell I can identify straight away - it's not a bad thing if your use to the scent as I am. This contains ingredients which I like to use by themselves, for me it's a multi ingredient mask of all my favourites. Aloe Leaf Juice, Bentonite and Witch Hazel. 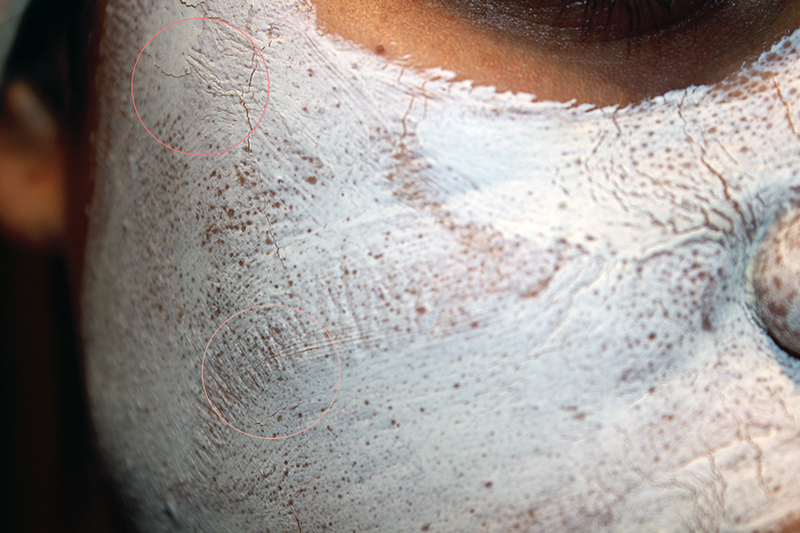 You can see within the circles where the mask has cracked and rippled from the firming action. What I love about this mask it does make my face feel smooth, clean and bright. Dries out spots that are on the surface but not so much for the ones under the skin which did make me a little disappointed as I hope with the inflammation ingredient it would help those too. I do only leave it on for 15 minutes and with these types of masks it's good to moisturise the lips before because once your face is temporarily paralysed lol, your lips begin to get dry. I'm going to try the recommended 20 - 30 minutes and see if that helps more with any spots. Rinsing this off with warm water, it glides off. Previous clay masks I have used, I feel I have to really work at it to remove it. This is what also makes this mask a dream to use. Great post, I dont know how I feel about using this 2-3 times a week given I will not be able to move my face (and God forbid eat something during that time *queue dramatic music*!) - it does sound good though, and its great that it washes off easily. I love that you have included the ingredients! Woo hoo! Oh love my Good Things mask, used it last night in fact :) been introduced to a lot of Ren products this week, very interested in them. I'm a little bit obsessed with face masks, so this definitely interests me. 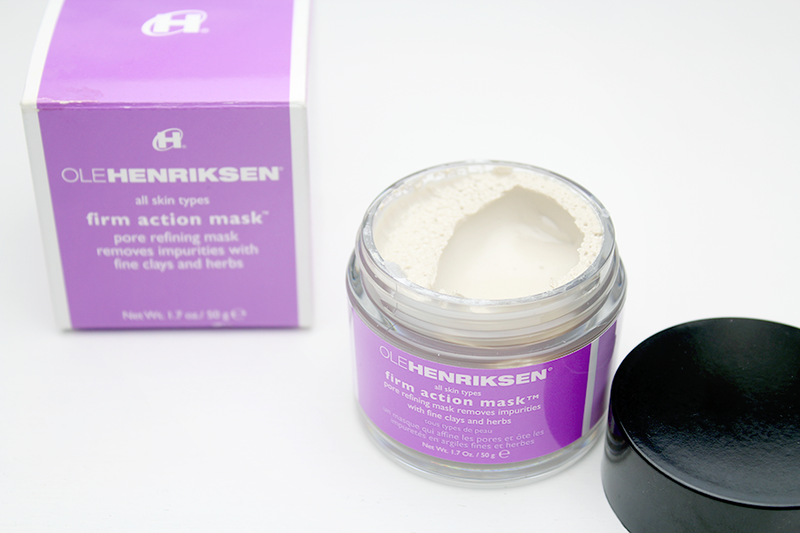 Speaking of tight masks, have you ever tried the Origins Clear Improvement one? It dries so hard that your lips are pushed back against your teeth! Does the job though.